The Cockermouth registered charity which was set-up in 1990 by a group of working parents who were struggling to find value for money and flexible childcare in the Cockermouth locality. We offer childcare for working and non-working parents for children aged 4 years+, before (from 7.30am) and after school (to 6pm) and during school holidays. We have over 130 families from Cockermouth and the surrounding area registered with us. Our management committee is made up of dedicated volunteers from a wide cross-section of the community who meet once a month (in the pub) to discuss a wide range of issues, including fund raising and fun activities for the children. We employ 5 members of staff to run the scheme. We are based at the Scout Centre in Cockermouth which has a variety of rooms indoors as well as a large grassed/patio area to the rear, which is securely fenced and a large adventure playground located at the front. We aim to allow children as much time outdoors as possible (weather permitting) and encourage children to play freely within safe boundaries. We have some adult led activities at our sessions but children are free to choose to play with equipment and activities provided at their leisure. It also offers children the chance to have a change of scenery from their daily school environment. 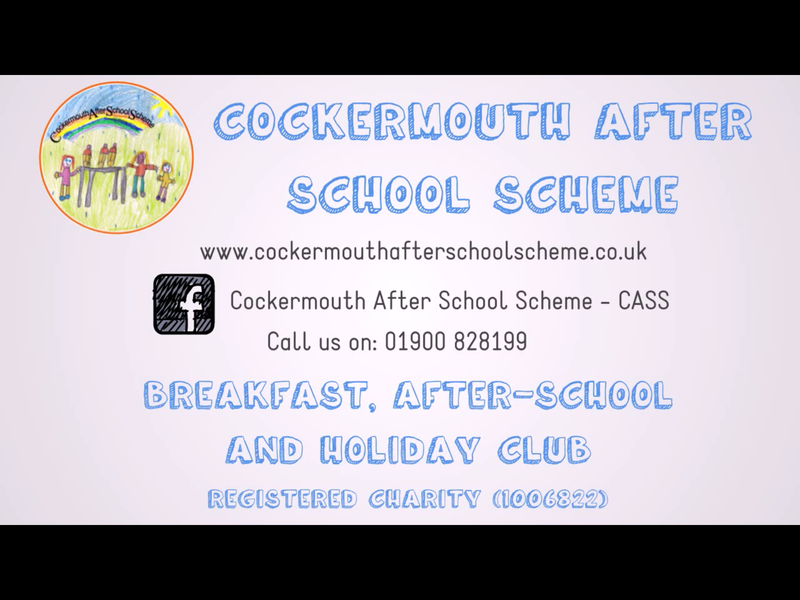 We provide out of school cover for four primary schools within the central Cockermouth area which is a great opportunity for children to make new friends and which also means when children move on to secondary school they will invariably have a wider circle of friends there. After school club collection £1 extra. Escorting to Cockermouth Leisure Centre £2 extra.